Our seller at 2514 Henderson Road Tucker Ga 30084 just made a big price improvement ($25,000+). Come to our Sunday open house on Sunday July 8th, 2018 to find out more about this amazing custom built home. Tim and Sally will have the house open from 3:00-5:00 pm. We will have a cooler of iced drinks to help cool you off. DIRECTIONS: From Downtown Atlanta: I-285 to LaVista Road. Head outside the perimeter on LaVista. Left on Henderson Road. House on left. New to Tucker – we can direct you to great restaurants, shopping and a new brewpub. Want some info in local schools – we’ve got it. Want to see similar homes in the neighborhood – no problem. Tucker is one of our “home turf” neighborhoods and we know it well. 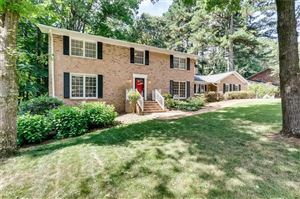 Call or text Sally English direct 404-229-2995 for more information about this open house and real estate in the Tucker neighborhood.